With a busy week away, I am just catching back up with everything. I just wanted to take a few minutes to talk about the Community Leadership Summit 2012 that happened the weekend before OSCON. You can also read a wonderful write-up from Andy Oram. This was the fourth Community Leadership Summit, and I was delighted with how everything went. We had a wonderful turnout with around 280 people joining us, and a fantastic breadth of sessions from our attendees. Topics of conflict, governance, gamification, diversity, collaboration, structural integrity, scale and more all generated great discussions and I think every one of us who joined the event took away some lessons learned. I was delighted to see the sheer diversity of attendees at the event. Not just in terms of gender and race, but we also had people coming from all over the world (including Japan, Australia, France, Belgium, Taiwan, and of course..the Bay Area 😉 ) and from a variety of different backgrounds in technology, government, education, charities, commerce, banking, and more. It was a truly eclectic crowd, and when I asked who was at CLS for the first time in the opening plenary, nearly half the audience put their hands up. I was also stunned to find out that a significant number of people flew out just for CLS and not OSCON. It is wonderful to see the event gaining traction as the primary annual meeting for community leaders, managers, stewards, and more. I would always encourage attendees to CLS and OSCON to join both events; they present a fantastic range of content. Each of the above companies supported the event within the core ethos of the CLS which I mapped out four years ago: a vendor-neural, independent event, that is open to all, in which we can share best practice, ideas, and help make our communities better. Thanks to everyone who joined us, and I look forward to seeing you next year at the Community Leadership Summit 2013, which will be our five year birthday! What anti-Linux Microsoft is doing here? 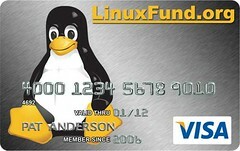 They should be kept out from the community, because they’re doing everything to kill Linux. I’m not one to apologize for MS, however, re-read Jono’s description of the ethos for the event – ‘Vendor-neutral, independent event, open to all’. Also, note that CLS is about WAAAY more than just Linux or open source (though that tends to be the predominant crowd). Honestly, I think having MS there does show that all companies are realizing that communities are hugely important to their future strategic directions. The event is vendor-neutral; Microsoft have no way of influencing the editorial content of the event, and neither do the other sponsors. I am not going to not include Microsoft purely because of the hatred of others. Hate is not a good platform for growth.